In this presentation (video*) Dr. Robin Kimmerer clearly and beautifully teaches us the relationship of living The Honorable Harvest to our quest to live in balance with Mother Earth; how to save ourselves by coming into relationship with Nature. 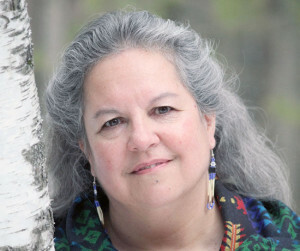 She is Distinguished Teaching Professor and Director, Center for Native Peoples and the Environment at the State University of New York (SUNY), College of Environmental Science and Forestry. Indigenous Peoples from all four directions of our planet are calling for a change in our consciousness, a move from head to heart guided by the Laws of Nature. The Honorable Harvest is a “covenant of reciprocity” and a guide to living sustainability in all aspects of our life. Dr. Kimmerer reminds us that in the indigenous way of thinking matter and spirit are mutually reinforcing whereas in the scientific world they are mutually exclusive. Dr. Kimmerer is a voice you may not have heard yet, but need to hear now especially if you are asking yourself, what is sustainability and how do I live it? 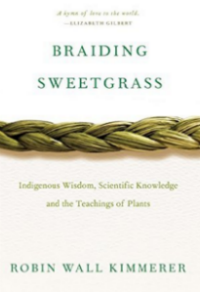 Her most recent book is Braiding Sweetgrass: Indigenous Wisdom, Scientific Knowledge and the Teachings of Plants. *This video presentation was published on YouTube on Aug 6, 2014 by the Center for Humans and Nature and recorded at their 2014 Forum on Ethics & Nature held at the Chicago Botanic Garden. The theme was A Cascade of Loss, An Ethics of Recovery. The Forum explored the topic of extinction, balancing information with ethical reflection about the possibilities of biodiversity and bio-cultural recovery. This entry was posted in awareness, Indigenous Knowledge, sustainability and tagged Braiding Sweetgrass, Center for Humans and Nature, online video, Potawatomi Nation, Robin Kimmerer, SUNY, The Honorable Harvest, wisdomkeepers on March 14, 2016 by Ruth Ann.